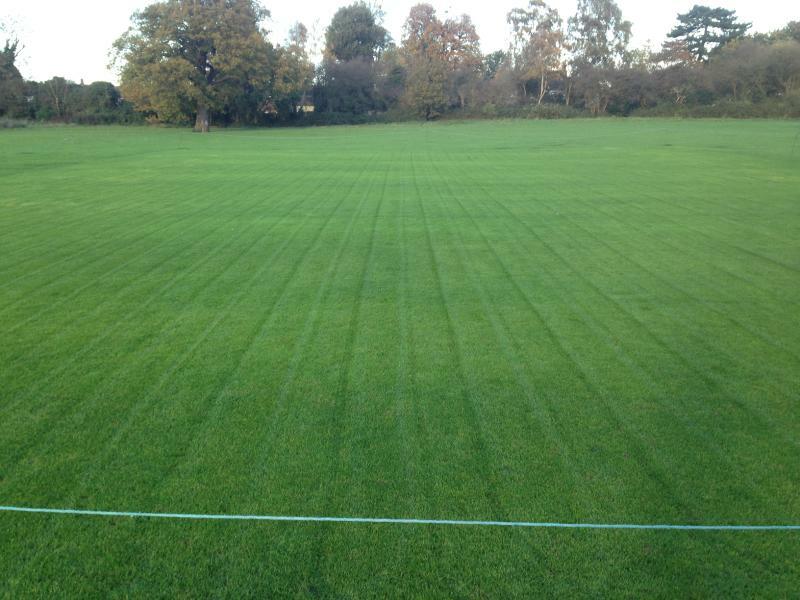 The quality of the end of season work is vital to ensure the quality of pitches for the next playing season. 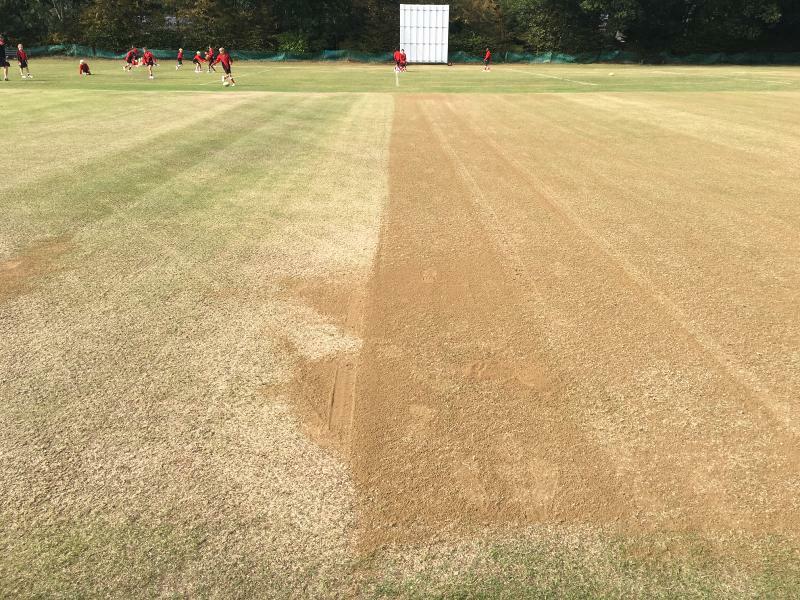 Also failure to look after the square during the winter period after the end of season renovations have been completed will lead to pitche deterioration and potentially bounce becoming lower and more unpredictable over time. The grass on the square is cut right down before scarifying is done to enhance the removal of thatch. Scarification is done diagonally to each additional pass and never at a right angle. 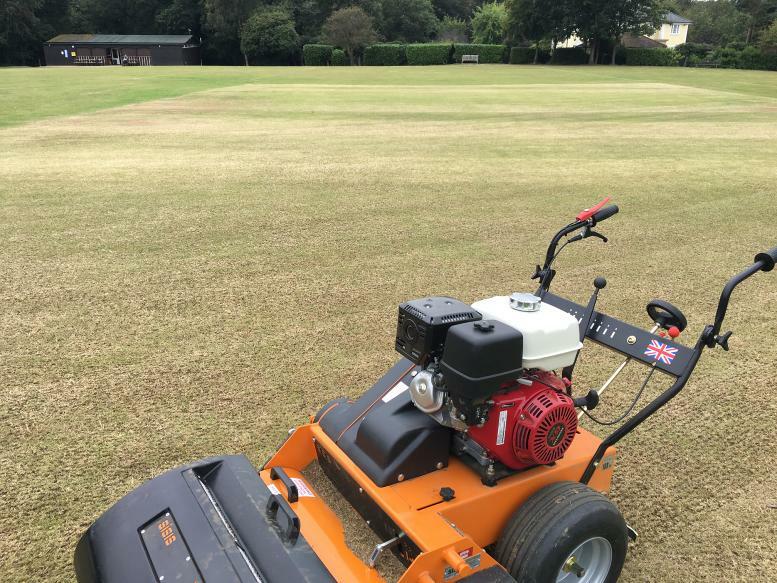 The final scarification pass will be done in the way of play followed by another brush to remove any dead matter from the surface to keep the grooves clean before seeding. If the surface allows, aeration will then be done. If surface is too hard then aeration will be done later in the year. The square is treated for worms before overseeding and pre-seed fertilising is done. 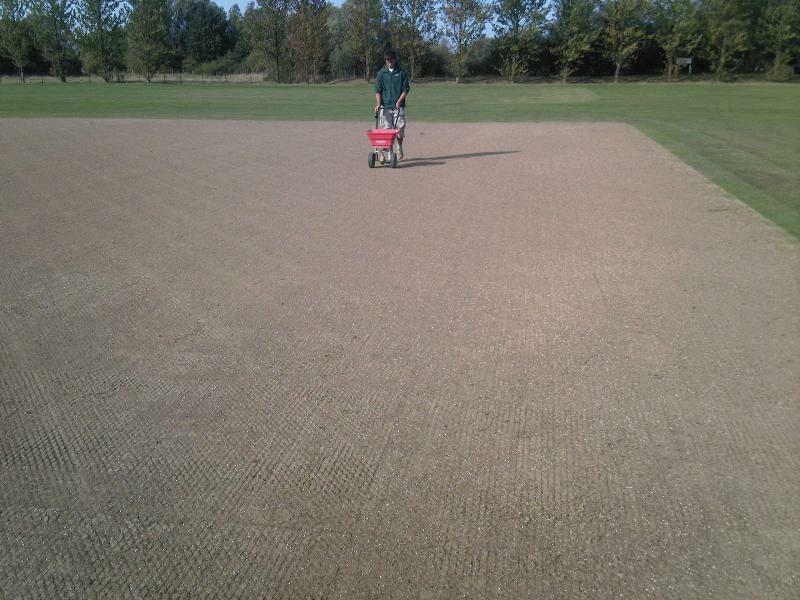 Overseeding is carried out manually using a spreader so that seed can be distributed according to the differing levels of wear on the square. For example, heavily worn ends may require more seed than in the middle of the pitch. The top dressing is then applied using a Sisis Truspred and manually worked into the surface using Lutes. This ensures the loam is properly and consistently worked into the surface to ensure an effective seed bed is created to encourage maximum germination. The results of completing the end of season work are clear to see. The picture above shows the square just after the work. The second picture was taken c. two months after the work had been completed.